Students in the Huntington County Community Schools could be back in the "Bible trailer" before the end of the year. The return of the voluntary religious education classes depends on two things. First, a federal judge must approve an agreement reached by parties in the federal lawsuit that halted the program last spring. Then, the program's sponsor must find sites near, but not on, school property where the classroom trailer can be parked. A public hearing concerning the Town of Roanoke's proposed budget for next year became a source of controversy at the town council's meeting on Tuesday, Sept. 1. The advertised budget for the town includes an 11 percent increase in the town's levy for 2010. This levy is a distribution of property and other taxes and fees collected by the county, which is then redistributed to the town, per approval by the state government. Roanoke Clerk/Treasurer JoAnne Kirchner said that the increase is normal for towns. Health care reform was the topic of a town hall meeting hosted by Rep. Dan Burton (R-Ind.) at Flint Springs Elementary School on Thursday, Aug. 27. Burton discussed his disagreements with H.R. 3200, the so-called "universal health care bill," while citizens on both sides of the issue fervently expressed their opinions on reforming the nation's current health care system. "The for-profit system is what the greatest country in the world is built on," Burton said. The Huntington County School Corporation Board of Trustees has approved the purchase of two extensive reading programs, System 44 and Read 180, that Superintendent of Schools Tracey Shafer says will help the corporation reach a goal. The purchase was approved during the school board's meeting on Monday, Aug. 24. The Indiana Department of Transportation has several road construction projects going that have resulted in road closures in Huntington County. All three projects began Monday, Aug. 24. County Road 300S over I-69, 3.4 miles north of Ind.-124, is closed through late October for the construction of a new bridge deck. There is no official detour. The road is expected to re-open in late October. The Huntington County Community School Board of Trustees discussed numerous topics and approved the release of its 2010 budget during its meeting on Monday, Aug. 24. Huntington County Red Cross Program Director Christine Kelty presented information on CPR classes the school corporation is talking about offering to staff and students. While presenting, Kelty said she is excited about the opportunity to get the schools involved in the training. Andrews resident Fran Felts was selected to become the new Huntington County clerk during the Republican Party caucus on Aug. 18. The caucus was called after the current clerk, Vicki Stoffel, announced her resignation effective the end of this year. Stoffel decided to resign after her husband, Terry Stoffel, expressed interest in running for sheriff in 2010. Because the clerk's office is in charge of elections, Stoffel felt that it was necessary to leave to avoid any accusations of inappropriate behavior. Tom Wall, eight months into his first term on the Huntington County Board of Commis-sioners, says he plans to run for the Indiana Senate seat currently held by Gary "Doc" Dillon. Dillon, who has represented Senate District 17 since 2002, announced in late July that he would not seek re-election. He will leave the Senate when his current four-year term ends in November 2010. District 17 includes Huntington and Whitley counties and parts of Allen, Grant, Kosciusko and Wabash counties. Another topic discussed at the Markle Town Council meeting on Wednesday, August 19 was a draft of a proposed water tower project. David Harvey, from Fleis and Vandenbrink Engineering, Inc., gave the council a draft copy of the findings of the water tower survey. He said they ran hydrant tests for water pressure. An issue that was found is in the industrial area, near I-69, wherethey need about 3,000 gallons per minute but they are currently only getting 1,000 gallons per minute. Harvey told the council the water system is well maintained in Markle. Officials in Markle will continue a discussion regarding hiring a town manager. The topic was brought up at the Markle Town Council meeting on Wednesday, Aug. 19, by Markle Clerk-Treasurer Carolyn Hamilton. Hamilton, along with the council, say too much is falling on Hamilton's shoulders, as she has to cover two counties (the Wells-Huntington county line runs through Markle). Smooth streets are ahead for motorists who have spent the summer rumbling through, and around, the areas affected by a sewer separation project. Dave Schoeff, Huntington's director of engineering, has announced that milling and paving on those streets is scheduled for this week. "Certain areas may be closed to traffic for long periods of time, so please avoid the areas if at all possible," Schoeff says. The Huntington County Community Schools have been denied a state waiver that would have allowed the corporation to cancel classes for one full day, instead of two half days, for teacher training. The denial means that HCCSC teachers won't be able to attend a conference the corpora-tion is hosting later in the school year, HCCSC superintendent Tracey Shafer told mem-bers of the corporation's Board of Trustees during their meeting on Monday, Aug. 10. The denial, however, does not change the 2009-10 school calendar already published. The Andrews Town Council on Monday, Aug. 10, tabled a motion to award a contract to remove concrete from its park so members could determine exactly what each bid contains and if they need to be modified. The bids to remove the concrete from behind the pavilion came in at $3,000 each from TW Excavating, of Andrews, and Zahm Excavating, of Huntington, and $4,400 from Cripe Earth Services, of Huntington County. 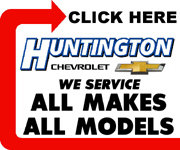 A motion to accept funding for the much-discussed and once-rejected Etna Avenue improvement project was passed Tuesday, Aug. 11, by a 5-1 vote at the Huntington Common Council meeting. Councilmen voting with the majority were Brooks Fetters, Jason Fields, Joe Blomeke, Keith Eller and Jack Slusser. Erv Ebersole was the lone dissenting vote, and Steve McIntyre abstained from what he termed an "illegitimate vote." "In accordance to our rules that we have established, I don't recognize this as a legitimate vote and refuse to vote," McIntyre said when asked to vote.